Bok choy, an Asian vegetable, is a member of the cabbage family. Filled with nutrients, the plant’s wide leaves and tender stems add flavor to stir fry, salad and steamed dishes. Choose the smaller plants when harvesting bok choy. They have a smoother, less acidic flavor and work best for fresh recipes. The time when to pick bok choy will depend on the variety. 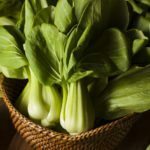 There are two ways how to harvest bok choy, which depend on the time of year and what use you have for the vegetable. Bok choy is a cool season vegetable like all the cruciforms. However, it is more tolerant of extremes than common cabbage. You can sow in spring or late summer for a fall harvest. Bok choy requires partial shade to prevent bolting. If you allow the plant to bolt, it will form flowers and seed, providing a bok choy seed harvest. The seed is housed in pods that you take when the husks turn brown and dry. This signals the seed is ready. Store seed in a cool, dry place until it’s time to sow them. Sow seeds in early spring or late summer. Bok choy requires nutrient rich, well-drained soil. The thick stems are juicy and sweet and need plenty of water to grow. Remove competitive weeds and till soil gently around the plants to increase oxygen levels for healthy root growth. Bok choy’s wide leaves are a target for foliage munching pests like snails and slugs. Use an organic slug bait to prevent holes and extensive damage to the plant. Harvesting bok choy plants that have been protected will ensure beautiful, blemish free leaves filled with flavor and healthful benefits. Bok choy is ready to harvest as soon as it has usable leaves. The small varieties are mature at 6 inches tall and the larger types grow 2 feet tall. The baby varieties are ready in about 30 days and the larger ones are ready four to six weeks after sowing. Bok choy is a cabbage that forms no head. As such, you can cut a few leaves at a time or harvest the entire crop. Bok choy harvesting is done all season long. 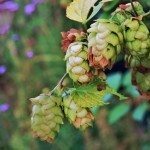 For a constant supply of the plant, sow seeds every two weeks until the high heat of summer arrives. Row covers will help supply some shelter from scorching sun and may extend the harvest. Cut off the plant at soil level when harvesting bok choy for the whole plant. In some cases, a few smaller leaves will sprout from the crown if it is left in the ground. You can also just cut off the leaves that you will use at one time and let the rest grow on. Immature plants provide the sweetest, most tender leaves and stems.